Prices for Las Vegas rentals has shown decline this year. It is the only city of the 82 tracked by Reis that showed this decline. While concerns about the economy apartment rents and occupancies continue to be boosted by demand from millions of people who are victims of foreclosure. 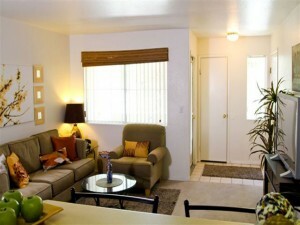 Resort style apartments in good locations seem to be the fastest growing of all apartment rentals in the country. These complexes usually feature resort style pools and spas, gourmet kitchens, and other luxury enticements. Demand for apartments will continue to grow despite Las Vegas rental prices. Rental prices will escalate unless new apartments are built to keep up with demand according to the folks at http://online.wsj.com/article/SB10001424052970203911804576653403871400400.html.